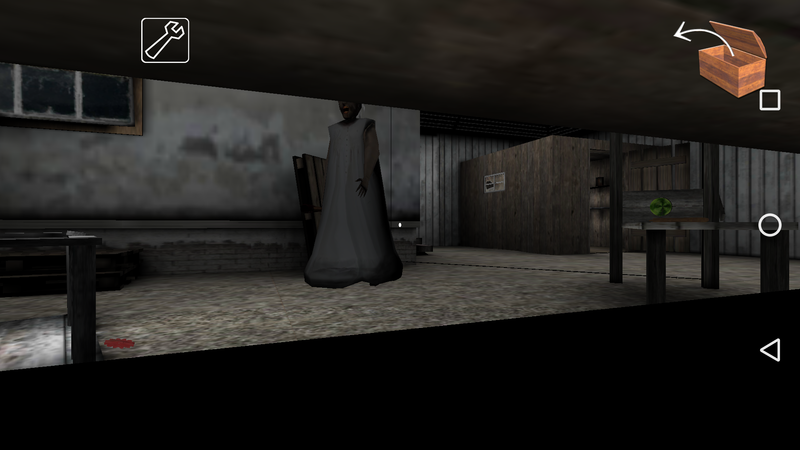 Granny is a popular new horror game on iOS and Android in which you have five days to escape from the house of your less-than-welcoming relative. Fail to escape in just five days and Granny will make sure you’ll be staying with her forever. The game itself is fairly simple, but does little to teach you the key mechanics or controls. With impressively good hearing, Granny will be on your case with a baseball bat at the slightest slip-up, making it hard to figure out how to escape. If the old codger is giving you trouble then don’t worry, we’ve got the tips you need to beat Granny and make it out with your life intact. In order to escape and beat Granny you’ll need to find a series of object hidden around the house that will allow you to open the front door. Before we get to them however, it’s important to get familiar with the controls. To move you can use the touch-sensitive virtual joystick on the left side of the screen, while turning is controlled by swiping your finger on the screen. Interactable objects like drawers or items will cause a hand symbol to appear on the top right of the screen. Simply tap this to open doors, drawers and cupboards or to pick up an item. 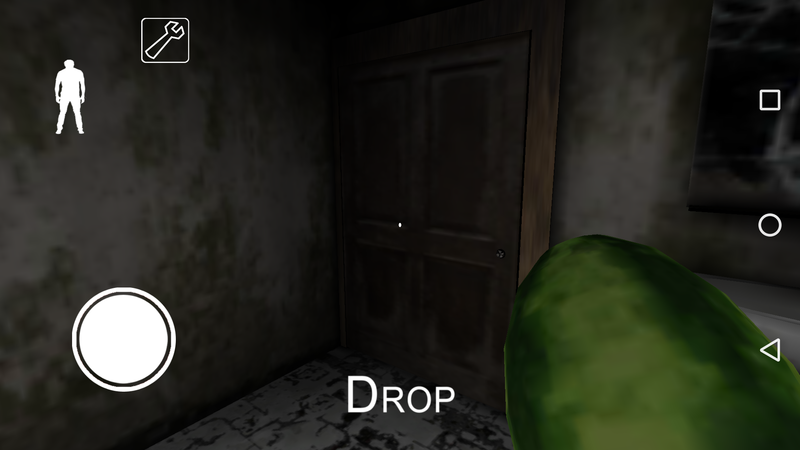 You can then hit the drop text at the bottom to let go, but be warned this will make noise and alert Granny. Once you’re comfortable with the controls, you’re ready to give the game a real attempt. The front door is barred in a number of ways you need to bypass by hunting down key items. The Hammer will let you break the wooden bars — you need to hit them on both ends. The Padlock key will open the bolted lock. The Alarm code deactivates the alarm using the keypad. The Cutting pliers disable the alarm on the door and the lock in the basement. The Battery is an optional item that’s only required if playing on Hard, Extreme or with Extra Locks turned on. The Master key unlocks the door. You can only carry one item at a time and it doesn’t matter which order you use these besides the Master key which must be used last. The additional items all unlock extra areas or items on the map. You won’t always need the full set of these to complete the game, but it’s important to understand what they do if you find them. The Weapons key opens a cabinet in the Secret area which holds a tranquilizer gun to put Granny to sleep for a short amount of time. It can also be used to knock down the screwdriver which is on the shelf above the main stairs. The Safe key opens the safe in the Basement, this typically contains a crucial item. The Car key opens the car trunk in the Garage, letting you get whatever item is trapped inside. The Shotgun parts can be put together in the garage and then used to shoot and slow Granny or knock down the screwdriver above the main stairs. The Cogwheels open the playhouse box in the Backyard. The Winch handle can be used to raise the bucket from the well in the Backyard. 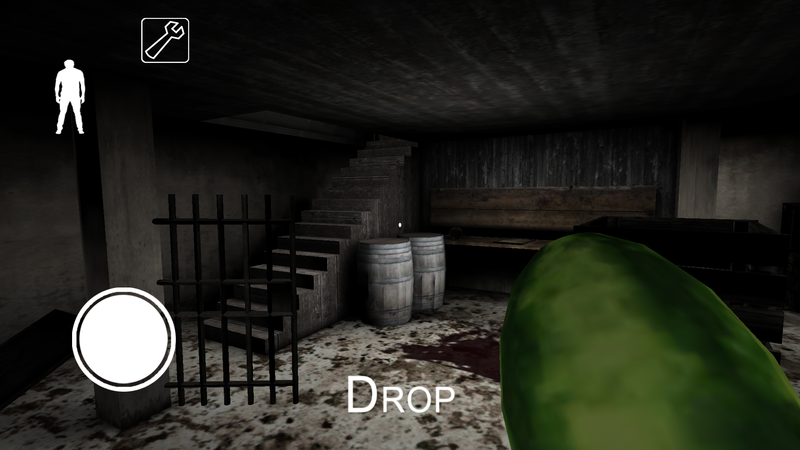 The Melon contains a key. You need to place it on the guillotine in the Backyard. This will make a lot of noise and alert Granny so hide in the box or playhouse. The Screwdriver opens a small compartment in the bottom of the secret area you can enter from the Basement or the upstairs in Bedroom 2. This will contain a key vital to escape. At the time of writing there are five potential item configurations, and the game will pick one of them each time you play. It’s worth noting that the Screwdriver is always on the shelf above the stairs. You’ll need the Shotgun or Tranquilizer Gun to reach it. Check the lists below and as soon as you find one item matching the location listed, you’ll know where to find the remaining pieces. Starting bedroom – You can hide in the locker or under the bed. You can also knock over the vase to get Granny to unlock the door on day 2 – remember to hide afterwards. Bathroom – Has one locker to hide in. Bedrooms 2 and 3 (along the hall on the left from the starting room). Bedroom 2 cupboards lead to the Secret area. Entered via the door next to Bedroom 3. Has a chest to hide in. Avoid the unstable floor or you will fall down and be knocked out, losing a day. Jail Ventilator – Has a camera that can be smashed with a hammer to stop a trap activating. Both the trap and hammer will alert Granny. Baby Room – Blacked behind planks you need the hammer to break. Doing so will alert Granny. Living room – TV can be hid behind while crouching. Kitchen – Don’t forget that the fridge and microwave can be searched. Dining room – Large table is a good place to loop round if Granny is chasing. It’s possible to exit to the Backyard through the window. One large room you can loop round to avoid Granny. Contains the Safe.There is a breaker box in front of the stairs with wires you need to cut using the Cutting pliers. The room contains one regular and two secret passageways. The regular passage is in the back loop of the room and leads to the Garage. The first secret passage is to the back left of the room behind boxes and follows the Hidden Tunnel to the Backyard, the other is directly in front of the stairs down and leads to the Secret area. You need to move objects and crouch to enter both, but Granny can’t follow you once you’re inside. These make for great hiding spots to run to when chased. One room with a car in the centre. The bench allows you to assemble the shotgun parts. The car trunk requires the Car key to unlock. If you alert Granny, simply get into the car and she will be unable to find you while you sit in it. Connects to both the Basement and Bedroom 2. The upper levels contain a crouch space behind some boxes with a switch in the ceiling that opens up Teddy Room. You can also find the weapon closet here but need the Weapons key to open it. The Screwdriver Safe is found at the bottom level close to the Basement. Can be accessed from the Basement. Contains the Playhouse and guillotine needed to open the Melon. There’s also a chest to hide in. It’s possible to play Granny very slowly, hiding from her in each room, but as long as you keep your cool, she’s not actually that tough to evade. The key is in knowing where to hide from her when you need. The Basement is your best bet as it contains two secret passages that you must crouch to enter. Granny cannot chase you through these, meaning you’re completely safe once inside. If you find yourself on the run with Granny close behind, make use of a the long table downstairs to gain some distance. Wait for her to commit to going round one way then run the other and head down to the basement or towards a locker to hide in. Your primary strategy should be to make use of the hidden paths in the Basement. Travel through one of these to reach another area of the house, then intentionally make noise by knocking over and object or, if in the yard, setting off the guillotine. This will lure Granny in that direction. While she’s distracted you can not head back through the passage and explore one section of the house in relative safety for a time. Just be aware that making more noise will bring her back in. Simply repeat this process each time you want to search. The best place to lure Granny is the Secret area. The Teddy you can find here (you need to move some boxes and hit a button on the ceiling) emits a heartbeat when picked up. If you do so, race down to the secret path to the Basement and drop it. You cannot drop this on either side of the passage to lure Granny to that end while you explore the other. Watch out for bear traps on the floor which make noise and will require you to tap to escape. Granny will drop more of them over the course of the game, so you need to keep an eye out at all times. 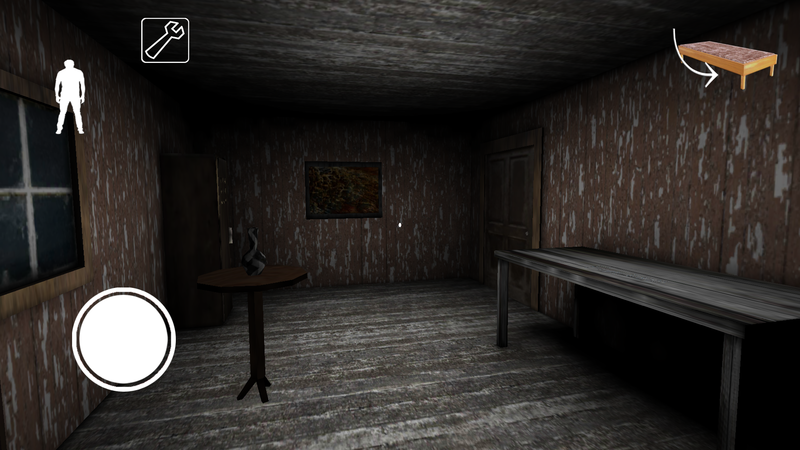 Creaking floors and knocked over items or paintings will also alert Granny. Good luck, and we hope you make it out!